Get Started Today (281) 358-0018 1313 Kingwood Dr.
Are you beginning to feel like you’ll never find the right Child Karate Kingwood TX courses for your children? Perhaps they are beginning to show interest in martial arts and you’re trying to make sure you get the most out of their potential. If you’re ready to put your kids in a program that will help them maximize their lives, you can count on Tiger-Rock Martial Arts. Our courses and programs are specifically made with children in mind, and you can count on our instructors. Founded in 1983, Tiger-Rock is currently the most successful and popular martial arts franchise in the nation. We have well over 100 locations in our nation, and we’re ready to make sure you master this art form. Our team of martial arts experts and certified instructors have mastered Korean Taekwondo, and we’re eager to pass on our information and mastery to students. We have decades of experience working with all types of students. If your child is ready to increase their physical and mental capabilities and you want to put them in the right environment, TRMA is here for you. Do you have kids who aren’t thriving in sports? Maybe you’ve baseball, football, basketball, and other activities like these but they simply didn’t catch on. While these aren’t mandatory for having a good childhood, exposing your child to physical fitness at a young age is important. High cholesterol and blood pressure are real problems that affect both children and adults in America. If you live in Texas and this is a problem in your household, we highly suggest introducing your child to martial arts. Cardiovascular health is important to living a good, healthy life. If you’re beginning to have problems and you’re becoming easily winded, your child will definitely improve after enrolling in this type of course. Like all the other muscles, the heart grows and becomes stronger with more training. Martial art is a great form of cardio exercise that can boost endurance and stamina. If you or your kids are becoming easily winded, this is a great way to make things better. Winning isn’t everything, but our Child Karate Kingwood TX classes encourage healthy competition. We have nationwide tournaments on a regular basis that can help your children learn how to win and lose with grace. If you’re beginning to feel like you’re unable to teach them the values of competitions, this is a great place to be. We can provide your child with a solution that gives them the foundation they need to be well-rounded individuals later in life. The mental aspect of martial aspects cannot be overstated. Are you currently dealing with a problem with your child’s lack of focus? Perhaps they’re not focusing in class, and you’re also having some disciplinary problems at home. While this is something that a lot of parents deal with, it’s important to get it taken care of before things get out of control. We understand how critical this can be for a parent, and our services are perfect for this. Discipline is something that we demand from each and every student that enters our dojo. Shortcuts are non-existent here, and you’re going to need a level of mental endurance and consistency to truly thrive. We understand that not everybody is born with this type of mentality. When this is the case, it’s important to make sure you don’t simply throw in the towel and give up before pushing yourself through the obstacles. You’re probably wondering how this can enhance your child’s mentality, but our professionals can help. 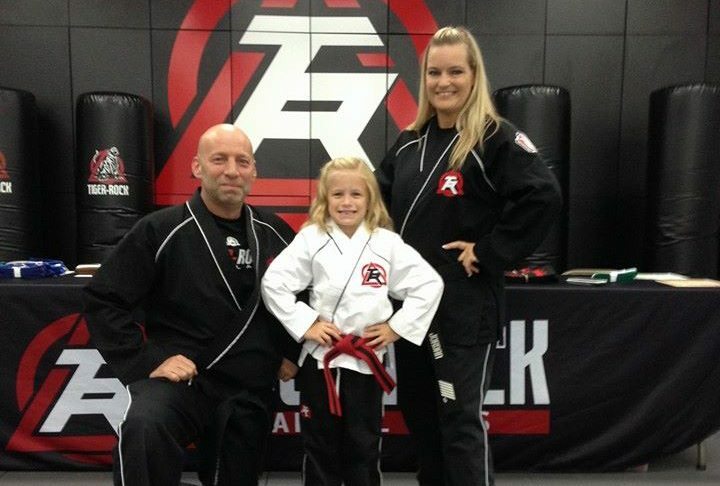 Both children and adults love accomplishing things, and Tiger-Rock Martial Arts is here to help you. Seeing yourself rank up through our 15-step program is something that will undoubtedly boost your self-confidence. When you feel like you can’t reach the goals you set for yourself, it’s very easy to get discouraged and feel defeated. While this isn’t always easy to overcome, count on our experts to guide you and give the instruction you need to get better. In addition to having classes for kids, we also have traditional adult karate classes as well. Are you someone who’s trying to master martial arts later in life but you don’t know where to start? You might be hesitant to commit yourself to a course because you feel like you don’t have what it takes to make it through. This is something that nearly everybody goes through, but we’ll make sure you have the resources you need to thrive in a healthy environment. Don’t let your insecurities and doubts stop you from trying new things and stepping out of your comfort zone. If you’re trying to grow your mental and physical capabilities, we’ll provide you with the required elements. 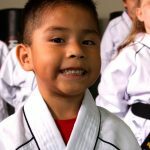 Enroll Your Children In Tiger-Rock Kingwood Martial Arts Classes Today! Finding the right Child Karate Kingwood TX classes is something that you probably take seriously. 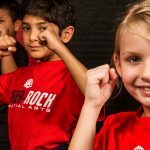 If you’re beginning to feel like you won’t find the right resources and programs for your kids, contact Tiger-Rock Martial Arts in Kingwood. We’re ready to provide you and your family with our introductory course bundle. We have three classes, a uniform, and a performance evaluation to offer you. If you don’t know where you’re at and you want to find out, our instructors can help. Call us today for more information. We’re ready to help you start your journey towards complete transformation! Your mind, body, and soul will be much stronger after leaving TRMA. The community of Kingwood first started back in 1971, thanks to the Friendswood Development Company. Though our name derives from King Ranch, another developer, the former is the entity that began in our region. If you like nature, you’re going to greatly enjoy Kingwood. We have numerous biking and hiking trails that our residents visit on a daily basis. Private nature preserves and exhibits are a big part of what makes us unique. If you like seeing deer, birds, fish, and other forms of wildlife, this is the place for you! Our population continues to grow well past sixty-five thousand, and want you to succeed here. If you’re trying to find things to do, we have well over a hundred clubs for you to check out. Get involved! Fill out this form to get pricing and class schedule information! Fill out this form to get pricing and enrollment information!